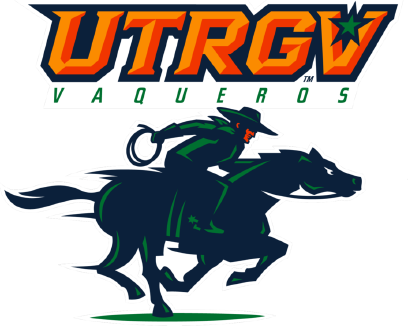 EDINBURG — When UTRGV took possession of the ball with 22 seconds left in a tie game against CSU Bakersfield, Moe McDonald knew all eyes would be on the Vaqueros’ leading scorer, Nick Dixon. Dixon dribbled and held for the last shot before letting go of a contested, off-balance 3-pointer with a few seconds remaining. As Dixon’s 3-pointer bounced up off the front rim, McDonald charged down the lane from the 3-point arc, leapt and converted a tip-in with his right hand with .7 seconds remaining. The late score lifted UTRGV to a 68-66 win and a season sweep of CSU Bakersfield on Saturday at the UTRGV Fieldhouse. UTRGV led by nine points with less than five minutes to play before CSUB started to mount its comeback. Damiyne Durham hit 3-pointers at 3:40, 3:04 and 1:54 as part of a 26-point night, cutting UTRGV’s advantage to three points in the final two minutes. After Dixon hit a free throw with 48 seconds remaining, CSUB’s Justin Davis banked in a 3-pointer to make the score 65-64 with 38 seconds remaining. Bakersfield chose to foul UTRGV’s Javon Levi with 28 seconds to play, and after Levi hit one of two free throws, Rickey Holden scored a layup for Bakersfield to tie the game with 22 seconds on the clock. Heading into the final possession, Levi said his first thought was to give the ball to Dixon, who entered the night as the WAC’s leading scorer with 21.0 points per game. Hill opted not to call timeout. Following McDonald’s score, CSUB’s Brent Wrapp threw a full-court heave that went off the back iron, but he did not release the ball until after the buzzer had sounded. The win lifted UTRGV to 14-12 overall and 5-4 in the WAC, evening the team’s league record to 2-2 at home. A central point of Hill’s culture at UTRGV has been the mantra “attack with discipline,” and the Vaqueros did that on Saturday to the tune of 22 Bakersfield turnovers. On offense, Levi set a career high with 13 points, while Varner tied a season high with 14 points. Dixon also scored 14 for UTRGV. Levi’s previous season high in scoring was seven points. On Saturday, he connected on 5 of 6 shots from the field, adding four assists and four steals against two turnovers. Varner said he looked to attack the basket with backdoor cuts against Bakersfield’s man defense. Saturday was his first time scoring more than six points in conference play, and Hill said he met with Varner this week about his role. UTRGV was without two key pieces on Saturday. Point guard Lew Stallworth was not at the game due to an illness, and forward Terry Winn was sitting out due to knee tendinitis. Winn’s injury came as a result of compensating as he continues to work his way back to full strength after offseason surgery on the opposite knee, Hill said.